Says I, a person who is currently progress-challenged. I’ve been editing about a page worth of synopsis every other day, and there’s still a looong way to go. It’s all-good though: I know that this tid-bit of forward movement, as slight as it may be, is enough for me to keep the ball rolling. How about outside of my writing? Same deal: – I’ve not finished weeding and mulching down the mountainside, and I sure haven’t finished the fence I started several weeks ago (I haven’t even dug all the post-holes yet… hah!). 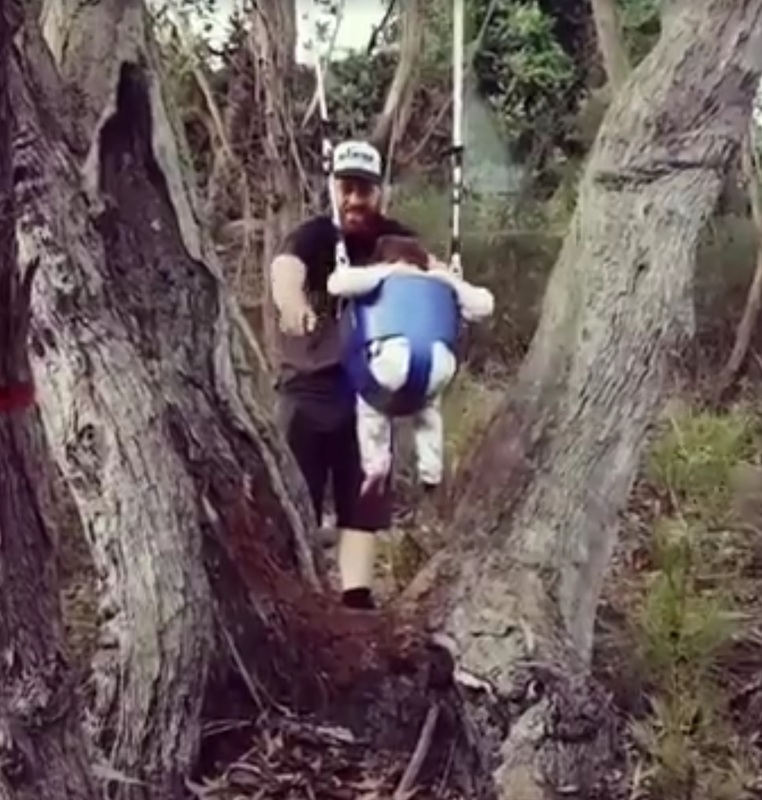 I have moved a heap of cut wood though, and the swing is now hanging in the tree, ready for our little person to enjoy. In other news: with my impending birthday, I am now the proud owner of a cheeky robot. 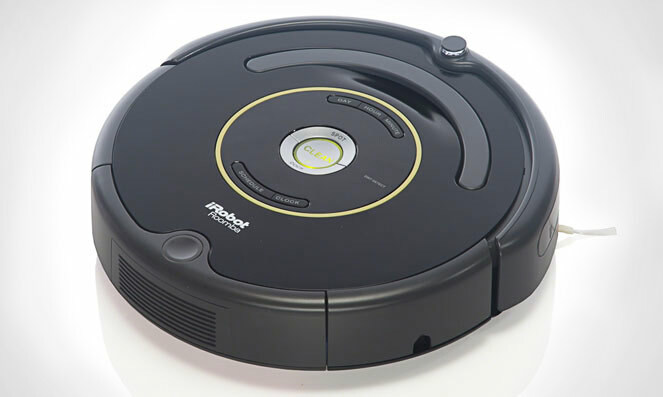 A robot that cleans my floors. This is so exciting I may have to explode. This entry was posted in Childrearing, DIY, Thoughts, Writing and tagged DIY, editing, fiction, goals, Planning, productivity, robots, Writing. Bookmark the permalink. 4 Responses to Progress is Progress, DAMMIT! Happy early birthday! Haha, that robot looks like something everybody needs. Great to hear that you’re making progress on your synopsis, even if it’s a page a day. A book I read recently (The Compound Effect) talks about how big goals are achieved by the completion of seemingly insignificant, mundane, and highly repetitive tasks every day. After a period of consistent output (i.e. : writing 500 words every day for 90 days), you hit momentum and realize big gains. But the key, according to the book, is making sure that you’re always doing the same thing each day and establishing a continuous rhythm, instead of starting, stopping, and then starting again. Of course, all of this is easier said than done. 😛 I’ve been guilty of starting and then stopping and then doing everything again. Ironically, these past failures are now an incentive for me to keep writing every day. An analogy the author used was how continuous output gets easier the longer you stick with something, similar to how it’s more difficult to pump water from a well after a period of stagnancy (vs. when you’ve been pumping for some time). Okay, done rambling about the book now! Looking forward to your updates. You can do it! Brilliant message in this post. Thanks. Plus, you should get a lot more done now that you have robot. Just need one that cleans baths, garages, driveways, children, cars, and bbqs, and you’ll be set. On a serious note, I think there’s one that mops called a scooba, and a lawn mower one, not that I have a lawn. Oh yes, one that cleans kid would be great! Or I’d settle for one that cleans their rooms instead.